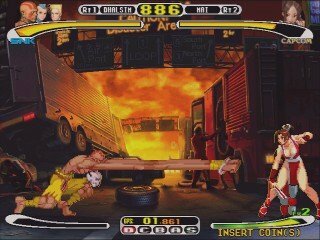 REVIEW: Capcom VS SNK is the cross-over 2D fighting game that old-school fighting game enthusiasts thought could never happen. 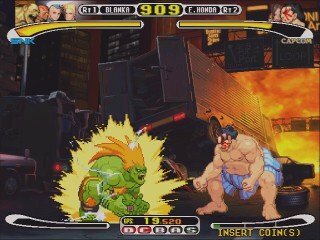 Fighting game icons from Capcom & SNK finally appeared together in traditional-style 2D fighter. 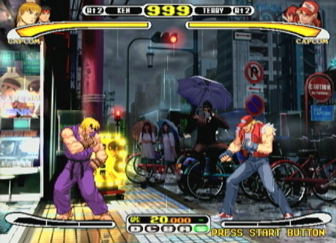 Players choose from two "grooves," AKA super meters, respectively called Capcom and SNK. 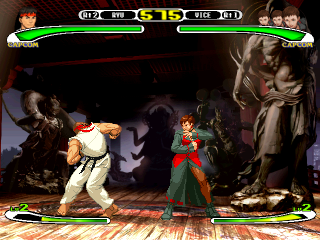 The groove selection allows the player to have either a Street Fighter Alpha 3 style triple bar super meter, or a AOF/KOF style charge super meter. 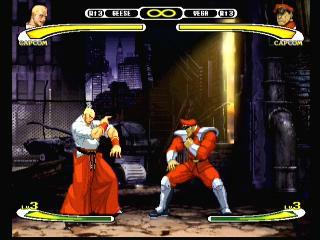 CVS introduced a 4 slot "ratio" system to select characters. 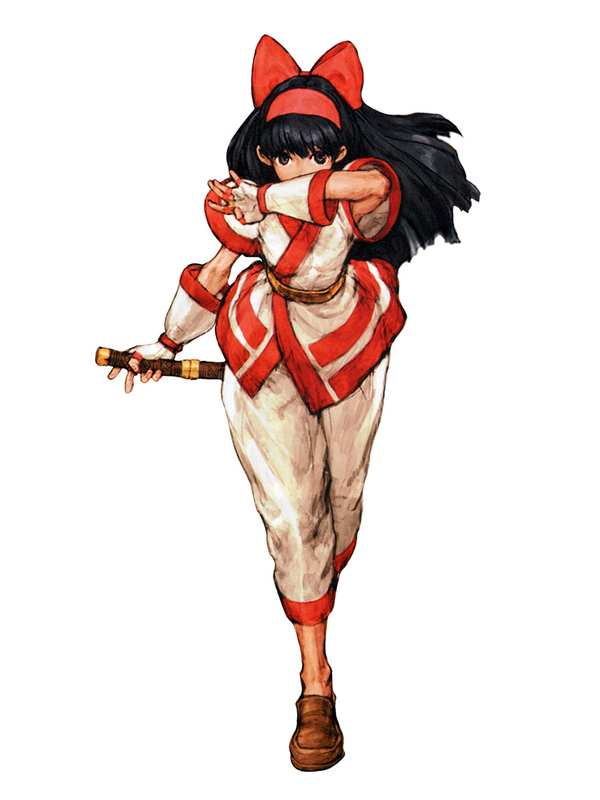 Each character carries a ratio, or number that represents the character's strength (basically how much damage the character takes off). 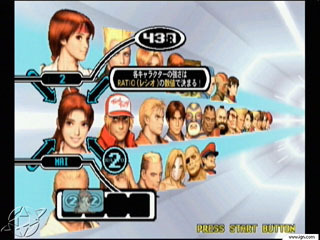 Each team can have characters up to a level 4 ratio. 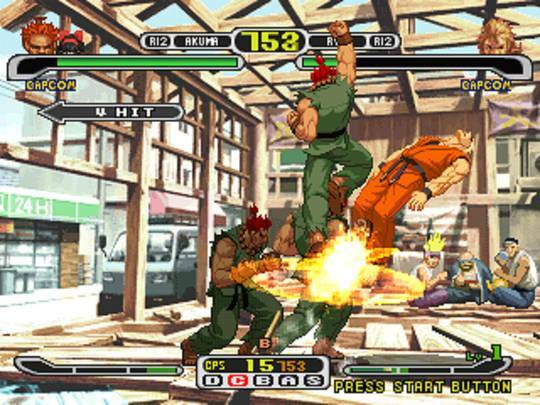 For example, you can combine levels in these ways: 2 + 2, 1 + 3, or 1 + 1 + 2. 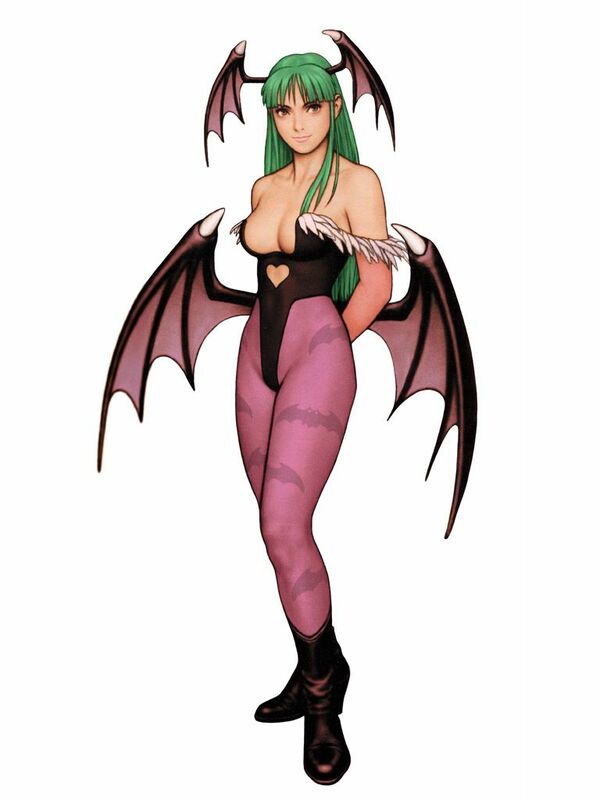 The ratio system was unique, but was also probably the biggest downside to the game; since it obviously left out the possibility for many "dream teams." 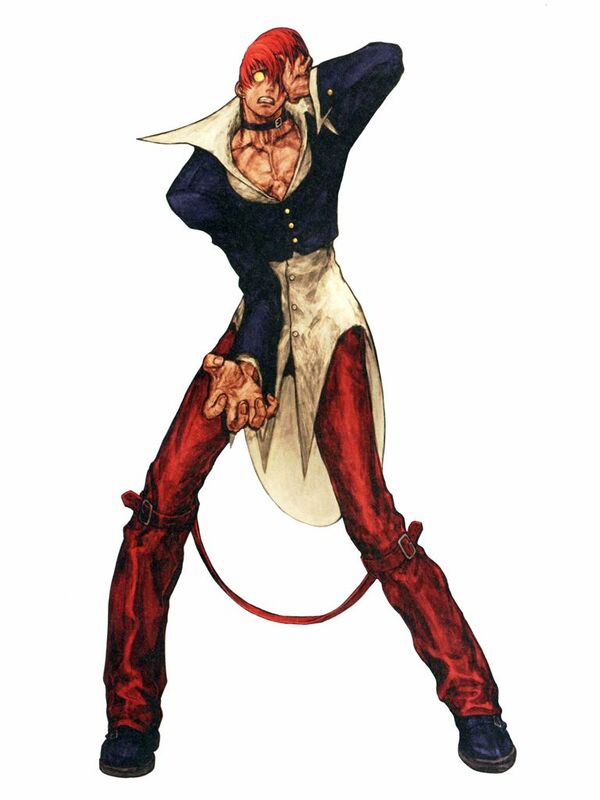 Players wanted to be more creative with their teams, and honestly the ratio system itself wasn't completely accurate in terms of character balance. 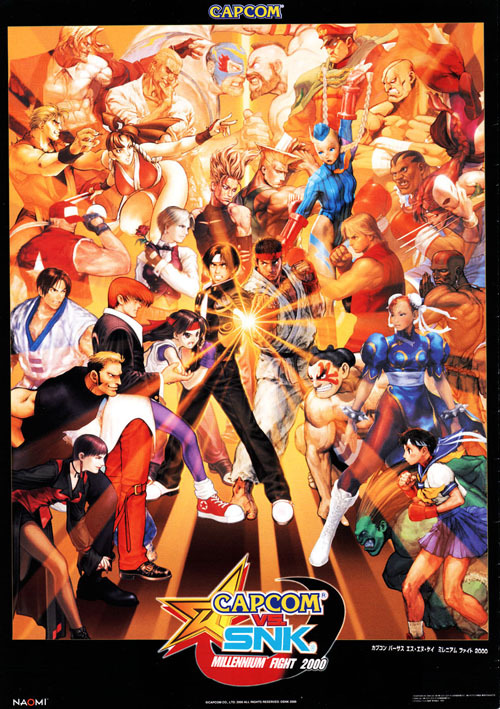 The 2D graphics look great all around... the SNK characters were completely re-drawn "Capcom style" and honestly, most of them look better than they ever did in the KOF series! 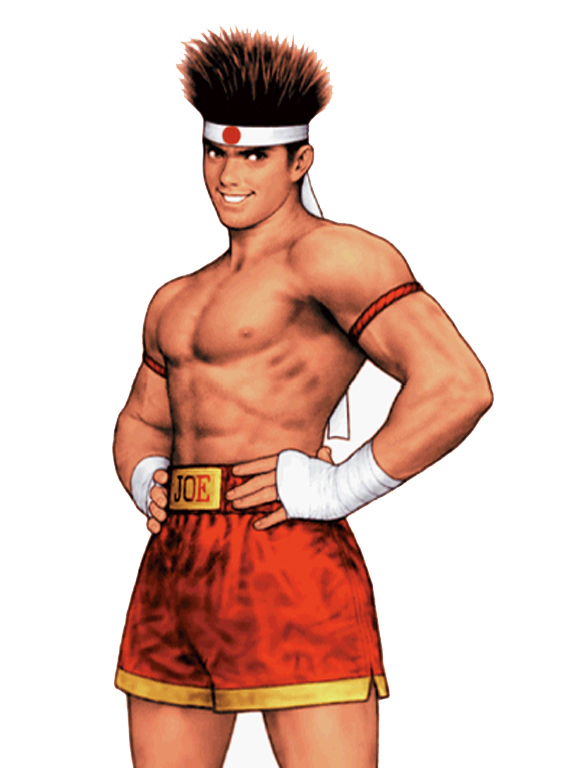 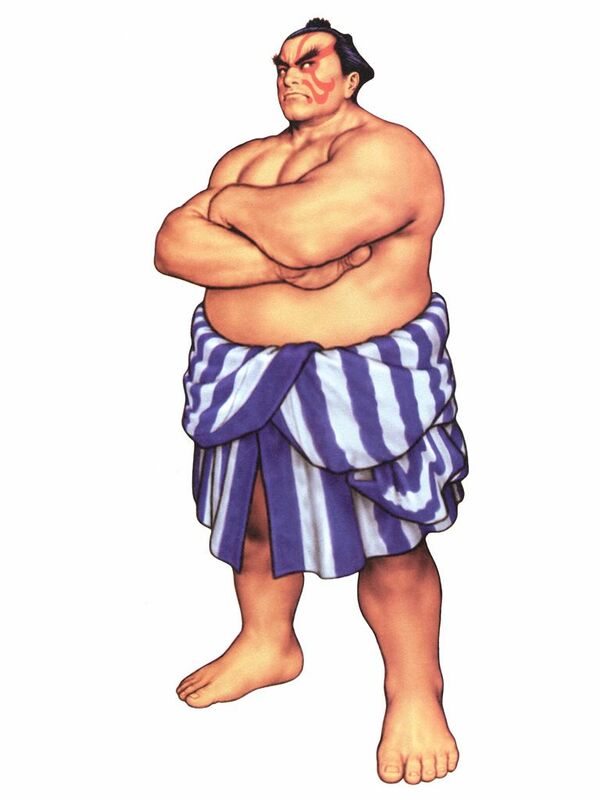 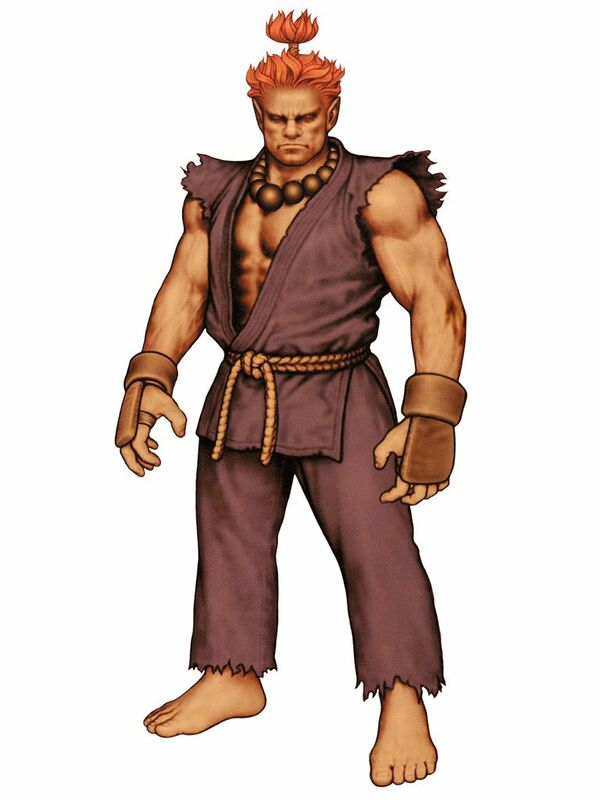 Although a few Capcom characters like Ryu, Ken, & Bison, were re-drawn from the ground up, Capcom also used some older Street Fighter Alpha sprites for some of the other classic characters like Chun Li, Blanka, & Sagat. 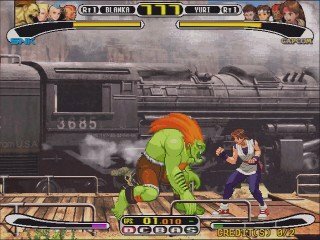 The fact that CVS uses sprites from the Street Fighter Alpha series gives the game a slightly dated look, but most of the Alpha sprites still look rather good; like Guile, Honda, & Cammy. 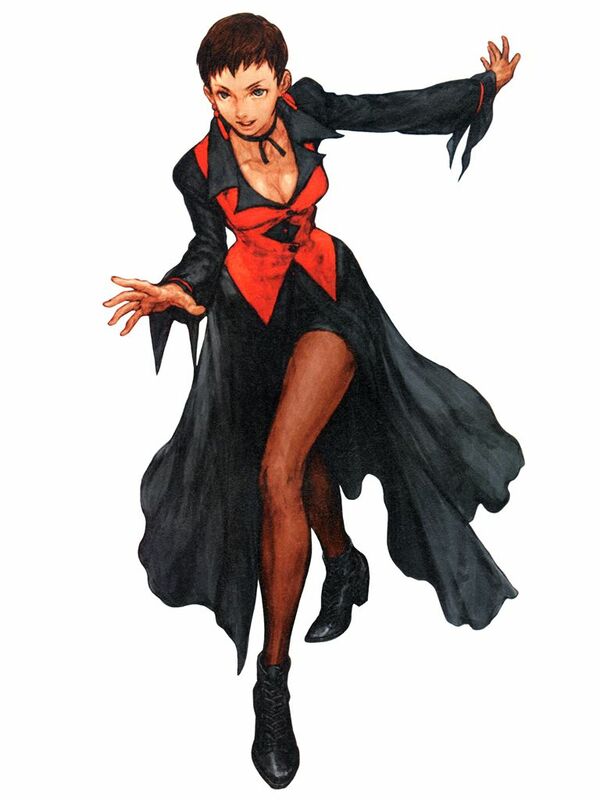 Although quite a few character moves are missing, most of the SNK cast were represented fairly well. 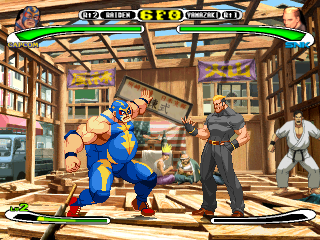 The BGMs & backgrounds are probably the most impressive aspect about the game, with some interesting "stage intros" (something that the sequel actually lacked). 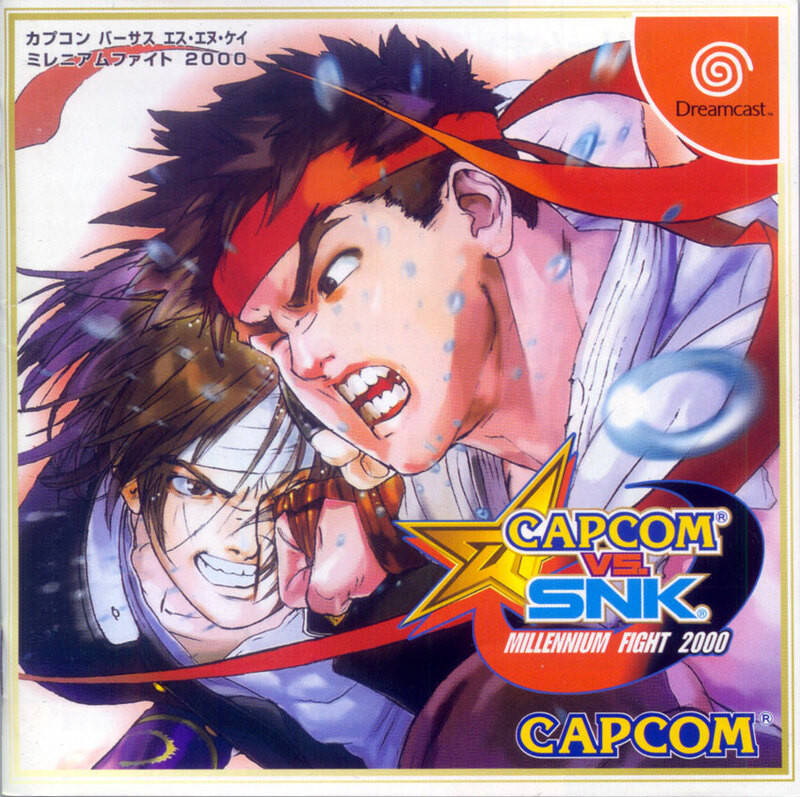 Lastly, something else that bugged a lot of fans... was the title... CAPCOM VS SNK. 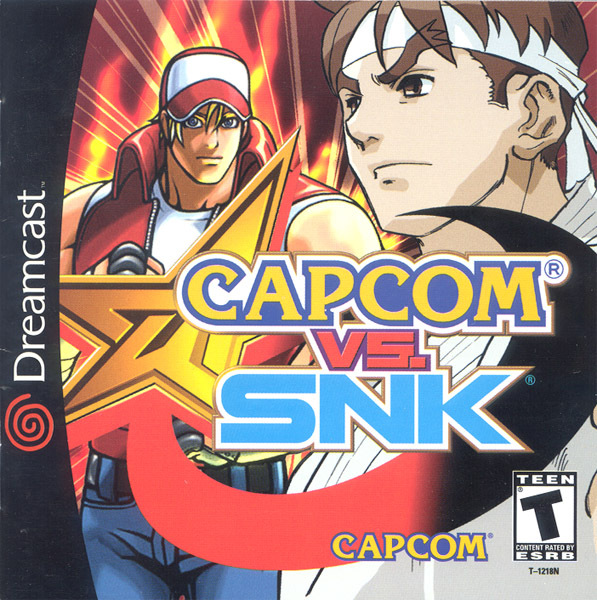 Because this game was more along the lines of King of Fighters VS Street Fighter... we wanted more characters! 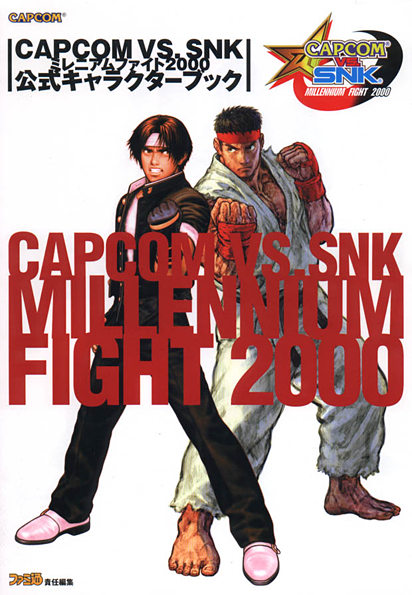 Capcom answered our prayers with Capcom VS SNK 2, but CVS1 was a solid stepping stone and a considerably fun game at the time. 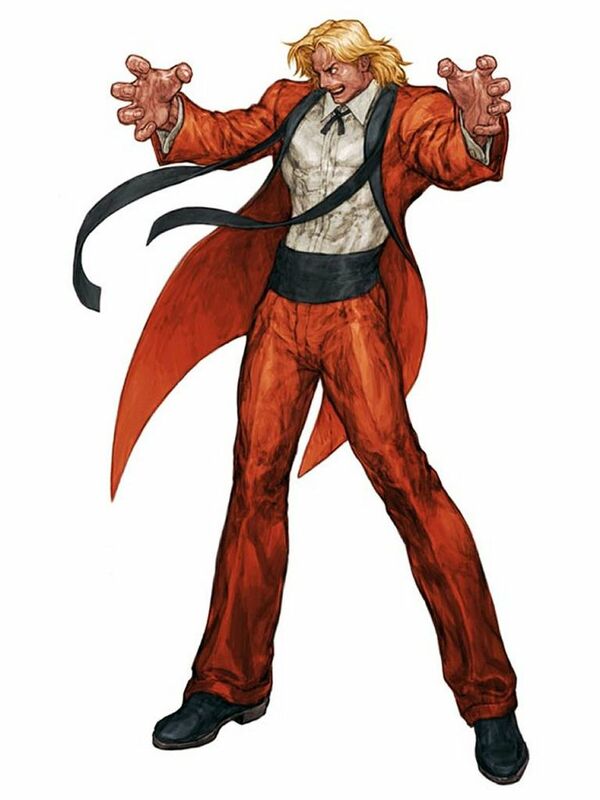 Click Here for all character art!! 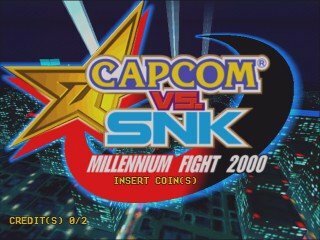 Final Words: While CVS has a cool presentation and is a great looking game overall, the gameplay system needed some work. 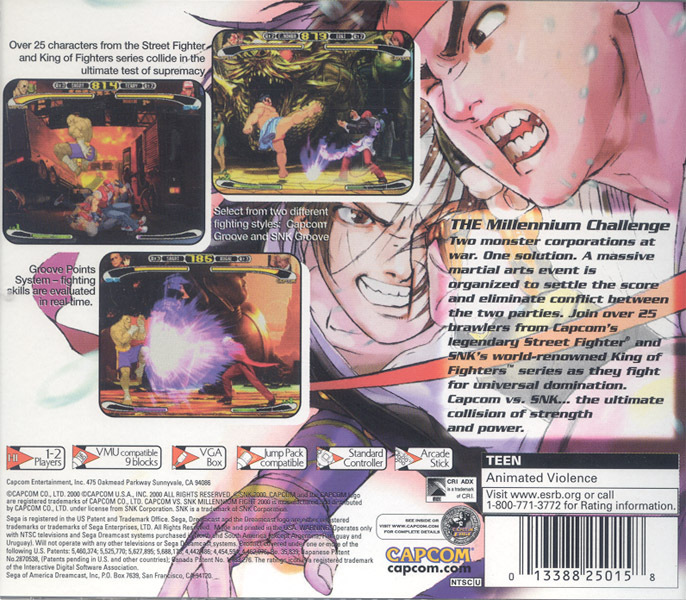 CVS1's gameplay and combo system was definitely a bit stiff when compared to many other 2D fighters, and simply wasn't as fun. 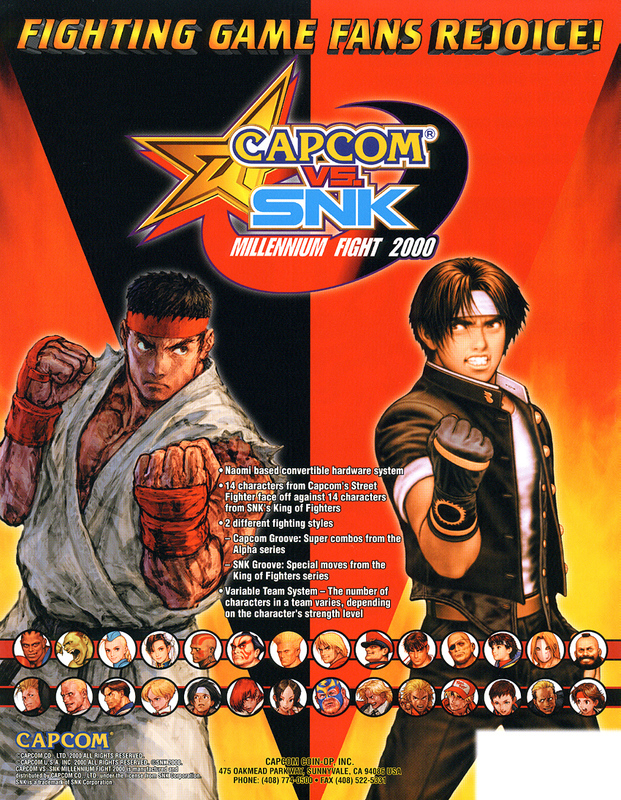 Luckily, Capcom VS SNK 2 greatly improved the gameplay experience and added a ton of fan-favorite characters.